As a business owner, your job is to meet demand and to do so in the most cost-effective manner possible. This is not easy to do in today’s competitive world. Having the right team behind you can play the most significant difference in the long term. As you consider who is handling your industrial refrigeration service, turn to our team. We are dedicated to helping you with all emergency planning and response services you need. When you need to call for immediate help, do not delay in contacting an industry leading professional. Today, you have an incredible amount of support available to you. Emergency planning and response are available to meet just about any goals you have. Our team can help you to create a detailed emergency action plan for your location and the entire plant. This can help to give you a step-by-step process to follow to when there is any release of ammonia into your plan. In addition to this, you will need a team capable of helping you to develop an Emergency Action Plan for all components of your operation. Do not delay in getting your plant’s maintenance and upgrades taken care of as well. Our team is available to help you to achieve these goals along with engineering and design solutions when it is time to upgrade and modernize your system to the next level. As a company, you need a team by your side that you can trust. When it comes to creating an emergency plan, maintaining your systems, or updating them, we can help you. 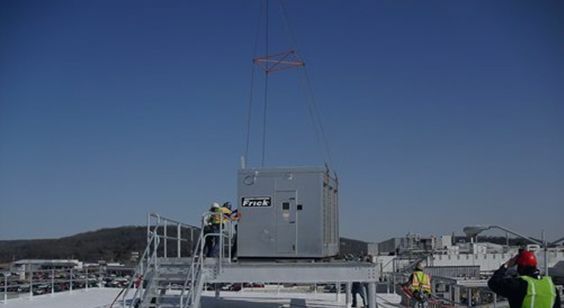 For any industrial refrigeration service, contact McNeil Industrial today. We are happy to work with you to achieve your goals. Call us for an appointment.